Producer Simon Kinberg has now confirmed that 20th Century Fox's sequel to "Deadpool" is on track to start shooting in early 2017, though no locations have been locked down at this point. Providing an update on "Deadpool 2's" script, Kinberg told Collider, "The guys, [Paul] Wernick and [Rhett] Reese, are working on the script, and we hope to have a script very soon." "I can only tell you that it’s going extremely well and that’s about all I will tell you about it," He added. "We want it to be discovered the way that we used to watch movies a long time ago when you didn’t know everything about them before you went to go see them." Won't have to wait 15 years for this one! Unpopular opinion time: Deadpool was just okay, not amazing. <div class="forumQuote"><b>MacyG88 Wrote:</b><br/>Unpopular opinion time: Deadpool was just okay, not amazing.</div> <br/> <br/>Agreed, but it gets points for its pacing and execution. I didn't find it particularly funny, but it was a fun, self-contained romp. Agreed, but it gets points for its pacing and execution. I didn't find it particularly funny, but it was a fun, self-contained romp. <div class="forumQuote"><b>Poasty-Guy Wrote:</b><br/><div class="forumQuote"><b>MacyG88 Wrote:</b><br/>Unpopular opinion time: Deadpool was just okay, not amazing.</div> <br/><br/> <br/><br/>Agreed, but it gets points for its pacing and execution. I didn't find it particularly funny, but it was a fun, self-contained romp. </div> <br/> <br/>Wait what. The PACING is one of the things that gets it points? It was probably the worst thing about it. Wait what. The PACING is one of the things that gets it points? It was probably the worst thing about it. - <strong><a href="http://variety.com/2016/film/news/deadpool-director-tim-miller-exits-sequel-over-creative-differences-1201897786/" target="_blank">‘Deadpool’ Director Tim Miller Exits Sequel Over Creative Differences</a></strong> <br/> <br/><em>Tim Miller will not be returning to direct “Deadpool 2,” dropping out of the sequel due to a series of creative differences with star Ryan Reynolds, a source confirmed Saturday morning. <br/> <br/>While Miller had not formally signed on to helm the sequel, he was in the process of developing the sc<i></i>ript and was widely expected to return. The source said the split with the project was amicable. 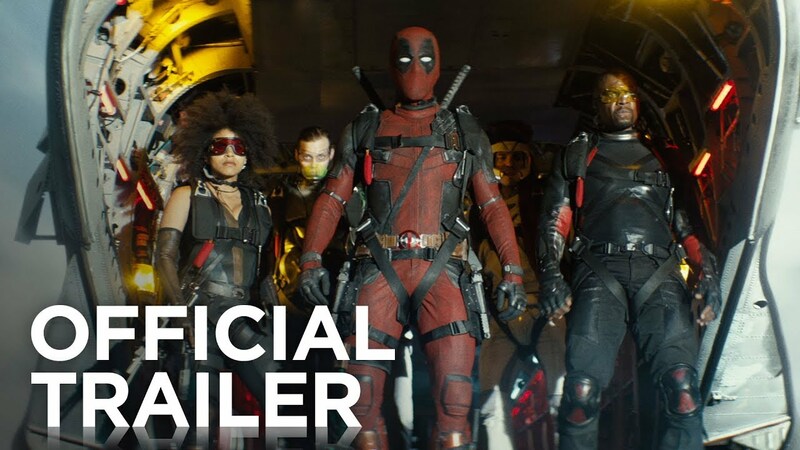 <br/> <br/>Most of the creative team was set to return for “Deadpool 2,” with Snider also confirming at CinemaCon that screenwriters Rhett Reese and Paul Wernick would be back to handle sc<i></i>ript duties. “Deadpool” reinvigorated Reynolds’ career after the actor suffered from flops like “RIPD” and “Green Lantern,” and threw Miller, also an animator and visual effects specialist, into the spotlight.</em> <br/> <br/>Little movie makes $700 million dollars, suddenly things tighten up. Not necessarily a troubling sign. Reynolds kept the ball in the air for a long time and kept working through to release. He seems to have a solid grasp of what's right for the character. Here's hoping they can improve on the solid, but flawed first. Tim Miller will not be returning to direct “Deadpool 2,” dropping out of the sequel due to a series of creative differences with star Ryan Reynolds, a source confirmed Saturday morning. While Miller had not formally signed on to helm the sequel, he was in the process of developing the script and was widely expected to return. The source said the split with the project was amicable. Most of the creative team was set to return for “Deadpool 2,” with Snider also confirming at CinemaCon that screenwriters Rhett Reese and Paul Wernick would be back to handle script duties. “Deadpool” reinvigorated Reynolds’ career after the actor suffered from flops like “RIPD” and “Green Lantern,” and threw Miller, also an animator and visual effects specialist, into the spotlight. Little movie makes $700 million dollars, suddenly things tighten up. Not necessarily a troubling sign. Reynolds kept the ball in the air for a long time and kept working through to release. He seems to have a solid grasp of what's right for the character. Here's hoping they can improve on the solid, but flawed first. John Wick director David Leitch is the strong frontrunner to direct Deadpool 2, which lost director Tim Miller over creative differences with Ryan Reynolds, several individuals familiar with the project have told Mashable. Representatives for 20th Century Fox and Leitch did not immediately respond to after-hours requests for comment. Reynolds' agency, WME, has been pushing the star (and the studio) to hire one of its own clients, and Leitch is at the top of that list, though one individual told Mashable that several other directors remain in the mix. There doesn't appear to be an official offer on the table yet, but by most accounts, 20th Century Fox has found its man. Leitch has history with all of the parties involved, including Reynolds, as he was the action coordinator on X-Men Origins: Wolverine, which introduced the actor as Wade Wilson. Unfortunately, now even Junkie XL has left the project. David Leitch better get an appetite for chimichangas. Leitch, one half of the directing and stunt team behind the John Wick movies, has closed a deal to direct Fox’s Deadpool 2. At the same time, Fox and the producers are also putting into motion Deadpool 3 and will be searching for a separate filmmaker to tackle that installment. Leitch is well versed in action movie parlance. He made his directorial debut co-directing Wick, the Keanu Reeves revenge thriller, with Chad Stahelski. Before that, however, he and Stahelski spent years as stunt coordinators and second unit directors, creating a stunt company named 87eleven. - <strong><a href="http://www.hollywoodreporter.com/heat-vision/deadpool-2-josh-brolin-play-cable-993232">Josh Brolin to Play Cable in 'Deadpool 2' (Exclusive)</a></strong> <br/> <br/><em> Here comes the Cable guy. <br/> <br/>Josh Brolin has nabbed the hotly contested role of Cable opposite Ryan Reynolds in Deadpool 2, The Hollywood Reporter has learned. <br/> <br/>The production has been on the warpath to find the right actor for the role for months, with Michael Shannon almost nabbing the role and Stranger Things star David Harbour on the shortlist. (There were even rumors of conversations with Russell Crowe and Brad Pitt.) <br/> <br/>In the end, Brolin emerged as a surprise contender, notching his second Marvel Comics character in the process; the actor plays the villain Thanos in the Marvel Studios movies. Sources say Brolin's deal is for four films. <br/> <br/>David Leitch is directing the sequel to Fox's surprise blockbuster, with the movie heading toward a June production start in Vancouver.</em> <br/> <br/>I can see it. Here comes the Cable guy. Josh Brolin has nabbed the hotly contested role of Cable opposite Ryan Reynolds in Deadpool 2, The Hollywood Reporter has learned. In the end, Brolin emerged as a surprise contender, notching his second Marvel Comics character in the process; the actor plays the villain Thanos in the Marvel Studios movies. Sources say Brolin's deal is for four films. David Leitch is directing the sequel to Fox's surprise blockbuster, with the movie heading toward a June production start in Vancouver. 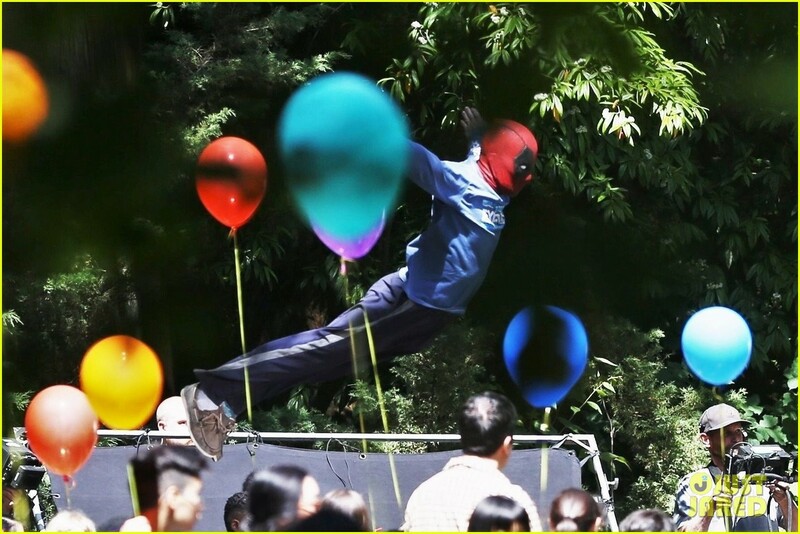 - <strong><a href="http://www.justjared.com/2017/06/26/ryan-reynolds-deadpool-flies-into-a-kids-birthday-party-in-new-set-photos/" target="_blank">Ryan Reynolds' Deadpool Flies Into a Kid's Birthday Party in New Set Photos</a></strong> <br/> <br/><img src="http://cdn03.cdn.justjared.com/wp-content/uploads/2017/06/reynolds-party/ryan-reynolds-deadpool-flies-into-a-kids-birthday-party-01.jpg" width="95%"> <br/> <br/>Woo! <img src="https://pbs.twimg.com/media/DGEx5CXUMAI3EuQ.jpg" width="95%"> <br/><em>Some people just know how to work a red carpet. 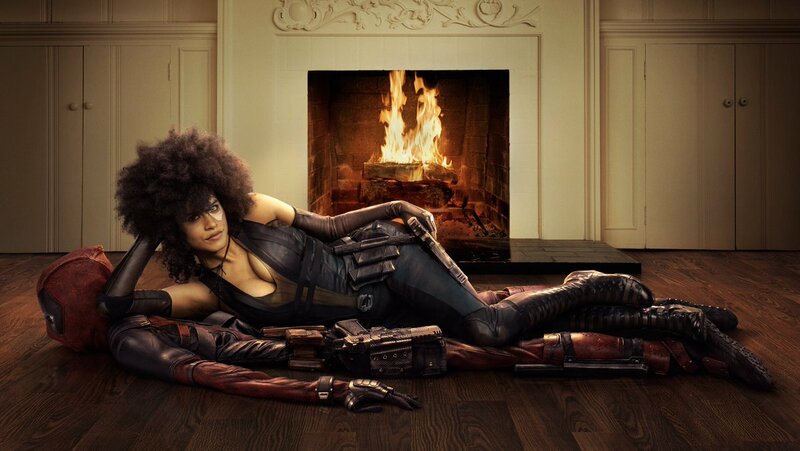 #Domino #DeadPool2</em> - @<a href="https://twitter.com/VancityReynolds/status/892049064858075136" target="_blank">VancityReynolds</a> <br/> <br/>Go to all that trouble to finally get Deadpool looking right, then half-arse it on the rest. Sounds about right for FOX. Go to all that trouble to finally get Deadpool looking right, then half-arse it on the rest. Sounds about right for FOX. <a href="https://twitter.com/SuperBroMovies/status/892134709110689792/photo/1" target="_blank"><img src="https://pbs.twimg.com/media/DGF_yTwVoAAcMPn.jpg" width="95%"></a> <br/>"<em>Another Look At Zazie Beetz's DOMINO in 'DEADPOOL 2'</em> - @<a href="https://twitter.com/SuperBroMovies/status/892134709110689792/photo/1" target="_blank">SuperBroMovies</a> <br/> <br/>Another one. Smoking hot, but not what I think of when I think Domino. Another one. 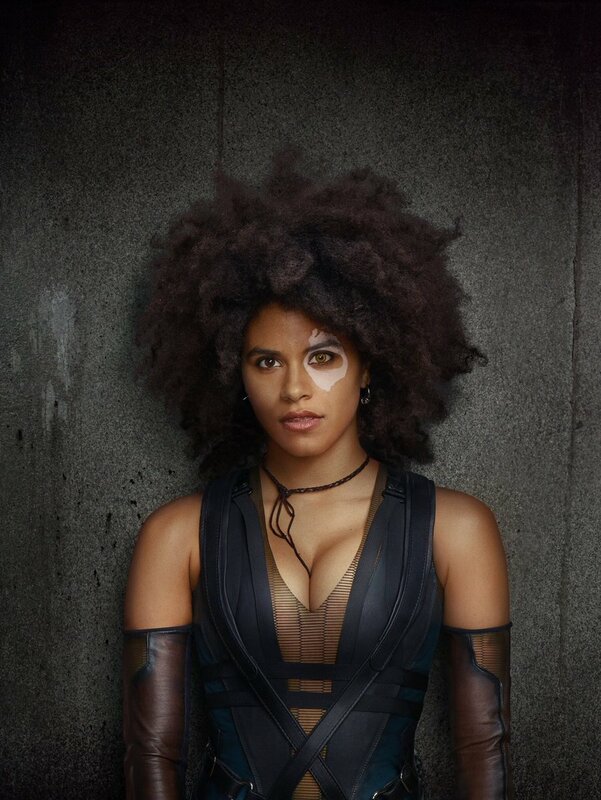 Smoking hot, but not what I think of when I think Domino. <div class="forumQuote"><b>Mick-Lucifer Wrote:</b><br/><a href="https://twitter.com/SuperBroMovies/status/892134709110689792/photo/1" target="_blank"><img src="https://pbs.twimg.com/media/DGF_yTwVoAAcMPn.jpg" width="95%"></a> <br/><br/>"<em>Another Look At Zazie Beetz's DOMINO in 'DEADPOOL 2'</em> - @<a href="https://twitter.com/SuperBroMovies/status/892134709110689792/photo/1" target="_blank">SuperBroMovies</a> <br/><br/> <br/><br/>Smoking hot</div> <br/> <br/>Absolutely! First look of Josh Brolin as Cable... <br/> <br/><img src="https://pbs.twimg.com/media/DGovov0WAAAMMVa?format=jpg" width="95%"> <br/> <br/>And here is a near full body shot... <br/> <br/><img src="http://empireonline.media/jpg/70/0/0/1280/960/aspectfit/0/0/0/0/0/0/c/articles/5988901391c7793a2db90b6d/Josh%20Brolin%20Cable%20Deadpool.jpg" width="95%"> <br/> <br/>And a comics comparison... <br/> <br/><img src="https://i.kinja-img.com/gawker-media/image/upload/s--akBbdTAH--/c_scale,fl_progressive,q_80,w_800/ihjhr0mybzeidnkqy1il.png" width="95%"> <br/> <br/>Not bad at all. Not bad. 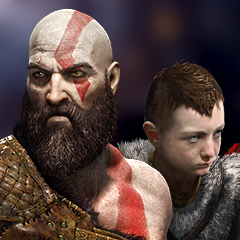 Like that they went all out with the scars and eye. Disappointed with the overall aesthetic, though. Dressing everything down, usual muddy off-the-shelf movie aesthetic. <div class="forumQuote"><b>Mick-Lucifer Wrote:</b><br/>Not bad. Like that they went all out with the scars and eye. Disappointed with the overall aesthetic, though. Dressing everything down, usual muddy off-the-shelf movie aesthetic.</div> <br/> <br/>Yeah, standard movie commando garb. It's a shame, in this day in age, we're still falling back into the "Nolan standard for realism" for comic book movies. But, it could've been worse, so I'm not complaining. Yeah, standard movie commando garb. It's a shame, in this day in age, we're still falling back into the "Nolan standard for realism" for comic book movies. But, it could've been worse, so I'm not complaining. <div class="forumQuote"><b>Detox Wrote:</b><br/>Yeah, standard movie commando garb. It's a shame, in this day in age, we're still falling back into the "Nolan standard for realism" for comic book movies. But, it could've been worse, so I'm not complaining.</div> <br/>Hollywood tends to be self-reflexive. FOX is still struggling to climb out from under the success of the early (pre-Nolan) X-Men films. They're lucky competing superhero projects haven't done more to make them look stupid. X-Men: First Class was progress. Shame it didn't make the money to keep the ball rolling. <br/> <br/>Cable's a bit drab and generic, but Domino would actually be better off if she just stole Anne Hathaway's catsuit. That's not wannabe Nolan -- that's shades of FOX's weakass Elektra! <br/> <br/>It's a shame the Deadpool costume turned out to be an exception, rather than a new rule. <br/>There's an argument for Deadpool being a rule-breaking stand-alone in the movie, but the joy of that design makes everything else look lame. Ajax was pretty disappointing, and the aesthetic average seems to be trending down. Those are the areas they should be improving after the first success hinged entirely on the man in red. <br/> <br/>As you say, could be worse. But that's pretty much every superhero movie. Deadpool had cut through because at least part of it dared to be better. <br/> <br/><strong>Edit:</strong> Was watching A Dame To Kill For last night and spent the movie studying Brolin's face. It's a key plot point, but damn. He's got a great look for Cable, too. Hollywood tends to be self-reflexive. FOX is still struggling to climb out from under the success of the early (pre-Nolan) X-Men films. They're lucky competing superhero projects haven't done more to make them look stupid. X-Men: First Class was progress. Shame it didn't make the money to keep the ball rolling. Cable's a bit drab and generic, but Domino would actually be better off if she just stole Anne Hathaway's catsuit. That's not wannabe Nolan -- that's shades of FOX's weakass Elektra! It's a shame the Deadpool costume turned out to be an exception, rather than a new rule. There's an argument for Deadpool being a rule-breaking stand-alone in the movie, but the joy of that design makes everything else look lame. Ajax was pretty disappointing, and the aesthetic average seems to be trending down. Those are the areas they should be improving after the first success hinged entirely on the man in red. As you say, could be worse. But that's pretty much every superhero movie. Deadpool had cut through because at least part of it dared to be better. Edit: Was watching A Dame To Kill For last night and spent the movie studying Brolin's face. It's a key plot point, but damn. 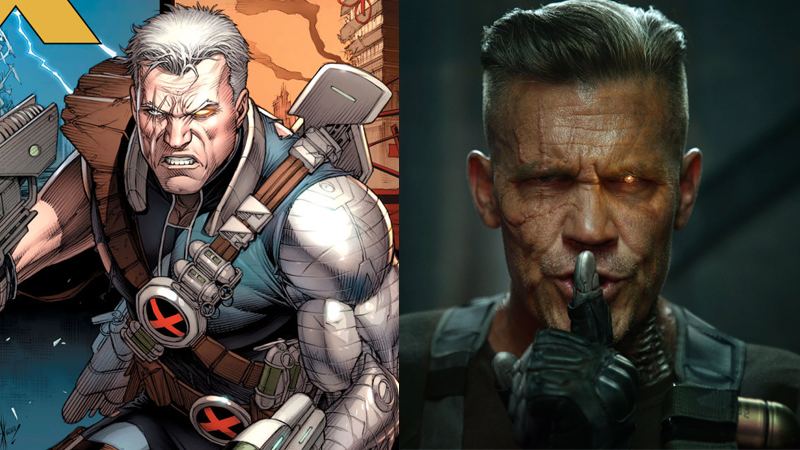 He's got a great look for Cable, too. 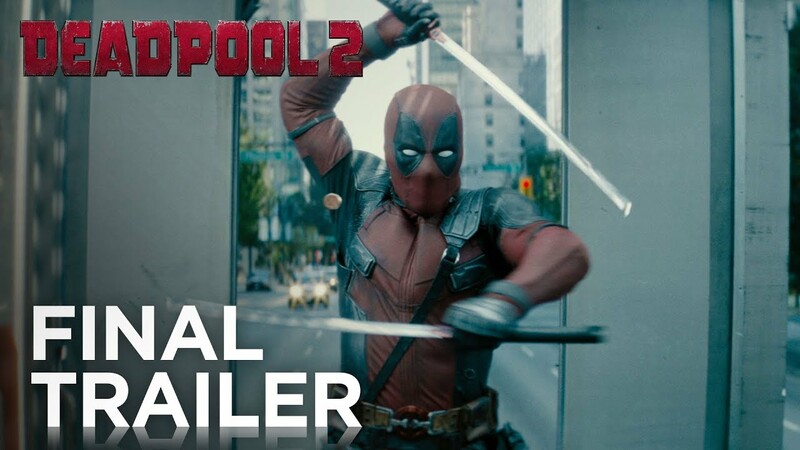 - <strong><a href="https://www.youtube.com/watch?v=uiEThbdN7qA" target="_blank">DEADPOOL 2 Official Trailer #4</a></strong> [YouTube] <br/> <br/><img src="https://i.ytimg.com/vi/uiEThbdN7qA/maxresdefault.jpg" width="95%"> <br/> <br/>Spoilers: Trailer contains jokes. 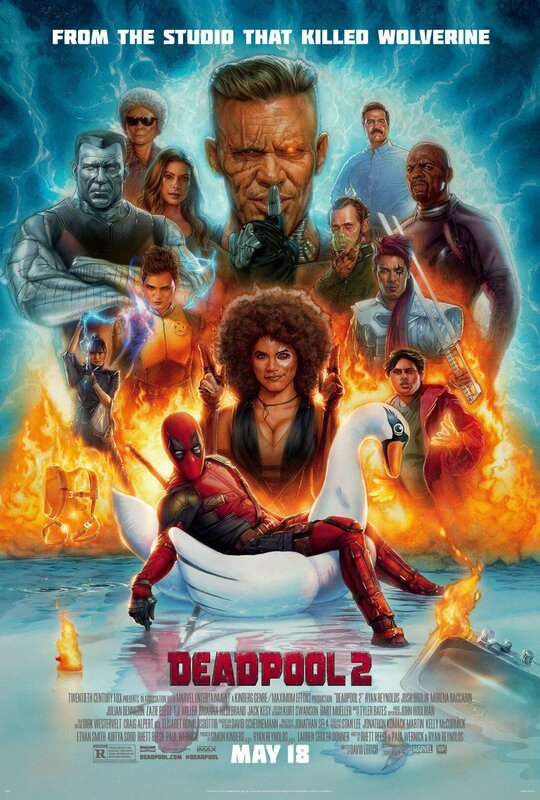 - <strong><a href="https://www.youtube.com/watch?v=D86RtevtfrA" target="_blank">Deadpool 2 | The Trailer</a></strong> [SPOILERS] <br/> <br/><img src="https://i.ytimg.com/vi/D86RtevtfrA/maxresdefault.jpg" width="95%"> <br/> <br/><em>After surviving a near fatal bovine attack, a disfigured cafeteria chef (Wade Wilson) struggles to fulfill his dream of becoming Mayberry’s hottest bartender while also learning to cope with his lost sense of taste. Searching to regain his spice for life, as well as a flux capacitor, Wade must battle ninjas, the yakuza, and a pack of sexually aggressive canines, as he journeys around the world to discover the importance of family, friendship, and flavor – finding a new taste for adventure and earning the coveted coffee mug title of World’s Best Lover. In Theaters May 18, 2018</em> <br/> <br/>Spoilers: X-Force. Ehhh. - <strong><a href="https://www.youtube.com/watch?v=20bpjtCbCz0" target="_blank">Deadpool 2: The Final Trailer</a></strong> [NSFW] <br/> <br/><img src="https://i.ytimg.com/vi/20bpjtCbCz0/maxresdefault.jpg" width="95%"> <br/> <br/>A whole lot more X-Force and some jokes that might not be in the theatrical cut. Dig it. A whole lot more X-Force and some jokes that might not be in the theatrical cut. Dig it. <a href="https://twitter.com/RottenTomatoes/status/993545188399169536" target="_blank"><img src="https://pbs.twimg.com/media/DcnIAquUwAAaK_y.jpg" width="95%"></a> <br/> <br/>Funny. <div class="forumQuote"><b>Mick-Lucifer Wrote:</b><br/><a href="https://twitter.com/RottenTomatoes/status/993545188399169536" target="_blank"><img src="https://pbs.twimg.com/media/DcnIAquUwAAaK_y.jpg" width="95%"></a> <br/><br/> <br/><br/>Funny.</div> <br/>Cool beans! Saw the movie last night. i thought it was better than the first. The whole deal with Xforce in the marketing for the movie is over blown hough. What really makes the movie worth seeing though is the end credit scene. I was in tears. It's the best post credit comicbook movie scene ever, and so fitting of deadpool. Deadpool uses Cables time traveling watch to go back in time and pretty much reverse everything that happened in the whole movie. He then proceeds to go back in time further and actually kills himself in Xmen Orgins: Wolverine (the stitched mouth Wade). Deadpool quips "just cleaning up the timeline". He then proceeds to time travel again, this this time killing himself/Ryan Reyonolds as he is reading the script for Green lantern, and quips "Your welcome Canada"